Get inspired with free project ideas every week! How do you do that? Subscribe to my FREE mailing list! - announcements from Stampin' Up! I email a newsletter every week - sharing an exclusive project idea just for you! PSST: my next newsletter emails next Tuesday! Today's the BIG day - Stampin' Up! announces the list of retiring products from the 2018-19 Annual Catalog and Occasions catalog. Note: Retiring stamp sets are guaranteed to be available through May 24, 2019; all other retiring products are only available until June 3 or while supplies last. Don’t wait—place your order today! It's a sad day in a way - some of my favorites are no longer going to be available after June 3, and many will fly off the shelves today! But I am also delighted that some sets and accessories are returning which gives me another full year to craft with them! Each list is also available as an EXCEL document. Email me at: terri@nutzaboutstamping.com if you want these in EXCEL. And here's what you should know - don't wait if you see a stamp set or accessory that you planned on purchasing this year but didn't get to it yet. Retiring products are available "as supplies last" and not a moment longer. Every year someone calls me to share how sad she is that she tried to place an online order but then got a notice that her cherished product is no longer available. Have you heard the shocking news? I was flabbergasted! Stampin' UP! is retiring it's Big Shot & Stampin' Trimmer! If you have a Stampin' Trimmer and a Big Shot you want to make sure you have extra blades, scoring tools, cutting plates, all the platforms etc. Shop while supplies last! *You are limited to 6 refill blades. More news: Stampin' Up! will be increasing cardstock prices along with a few other staples like the Stampin' Mist, Stampin' Sponges and Envelopes. While the average increase is a 25 cents - a few items like our Foil papers and Stampin' Scrub are increasing by $1. This will happen in our upcoming Annual Catalog. Stock up on products running low before they increase in price. Round out your order with your favorites and enjoy hostess benefits. Final news: The Full RETIREMENT list will be posted on Monday April 15th. Watch this space for a full announcement! If you’ve ever thought about joining my Stampin’ Up! team, now is the perfect time with our amazing Starter Kit deals! These Starter Kit offers end March 31st, so you only have a few more days to get this great offer! You choose $175 in products for only $99 - and all of those products can be from the Occasions Catalog the Annual Catalog or a combination of both! And you have TWO Starter kit options to choose from - go here for more information! Just as Stampin' Up! demonstrators provide their customers with one-stop shopping and individualized service, Stampin' Up! will provide YOU with the opportunity to pursue your individual goals whether those goals are to enjoy a hobby, build a thriving business, or contribute to family income while spending more time at home. Whether you'd like to earn money to pay for your stamping supplies, create a full or part-time career, or simply get a discount on your stamping supplies, Stampin' Up! (and me!) will help you do it. And if that isn't enough, we've listed 10 reasons for you to become a Stampin' Up! demonstrator. Gain first access to popular popular lines and exclusive, award-winning designs. Get a 20 percent discount on ALL Stampin' Up! products. For $99 you choose up to $175 in the Stampin’ Up! product of your choice! 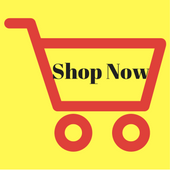 Free shipping – the kit ships to you FREE, for another 10% savings. There is no obligation to ever host a party, workshop or sell product and absolutely no pressure from me! It's your business! No Risk – You can enjoy all the benefits & discounts of being a Stampin’ Up! Demonstrator with no risk. No Catch. I Promise. I invite you to subscribe to my exclusive Stampin' Up! newsletters and find beautiful crafting inspiration with projects I share using our amazing catalog! Every week I create a project idea along with all the supplies I used (including ordering numbers!) and a full set of step-by-step instructions. I also share tips, tricks, techniques and products I am nutz about. PSST: my next newsletter emails Tuesday, so sign up today! If you’ve ever thought about joining my Stampin’ Up! team, now is the perfect time! You choose $175 in products for only $99 - and all of those products can be from the Occasions Catalog the Annual Catalog or a combination of both! You have TWO Starter kit options to choose from - go here for more information! Until March 31st, you can get $175 in products for just $99! OR: Until March 31st you can get $175 in products AND our Craft and Carry Tote bag ($50 value) for just $129! 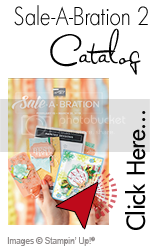 You can add the brand new Sale-A-Bration coordinating products to your Starter kit! But it is not just about free products - there's so much more to being a Stampin' Up! demonstrator! You need to see our third Sale-a-bration release! The Sale-A-Bration party keeps getting better and better with our third release! We just added fabulous Level 1 items to the general Sale-A-Bration offering, including our Painted Seasons Designer Series Paper (which was part of a Sale-A-Bration bundle last month and is now available separately). NOTE: these time-limited products have a new ordering number to use at my online store. Click here to place your qualifying order! Click on the flyer photo below to download it to your device! Want to get exclusive, beautiful crafting ideas every week? Do you know the best ink to use for your projects? When I first started stamping I didn't know which ink to use for the kind of stamping I wanted to do which resulted in smears, runs and at times, disappointment. If you are new to stamping I have created the perfect ink guide for you to use, along with a downloadable chart for future reference. A. Classic Stampin' Pads: used for general stamping; you can also pick up ink with Aqua Painters or Blender Pens for watercoloring. This type of ink comes in all Stampin’ Up! colors except Basic Black, Whisper White and Very Vanilla! You can buy each color of ink pad separately or in a color collection bundle to save money. For your convenience, refill bottles are also available (sold separately) for each of the Classic ink pads. B. StāzOn Ink Pad: stamp images for watercoloring with Aqua Painters, Blender Pens, Stampin’ Blends, Watercolor Pencils and Brusho. This type of ink comes in Jet Black and there is a refill bottle sold separately. It smells a bit like licorice! This type of ink comes in Tuxedo Black and a refill bottle is sold separately. D. Versamark Ink Pad: this ink is perfect for three purposes: a. embossing: stamp, sprinkle embossing powder on top, tap off excess, set with Heat Tool, and b. stamp images to result in slightly transparent images for a tone-on-tone look (watermark), c. resist techniques. This ink pad comes in clear. E. Crafting Stampin' Pad: this ink is perfect for: a. embossing: stamp, sprinkle embossing powder on top, tap off excess, set with Heat Tool; b. stamping on dark card stock for an opaque look. This ink comes in Whisper White and a refill bottle is included with the purchase of the un-inked pad. Announcing a second set of free products! I am excited to announce that today Stampin' Up! has released a second set of Sale-a-bration products to add to the first set from January! Four exciting new items*** to add to your crafting collection and you can earn all of them for FREE! And then click HERE to place your qualifying order! *** Items are only available as supplies last. Don't wait and be disappointed. OR: Until March 31t you can get $175 in products AND our Craft and Carry Tote bag ($50 value) for just $129! Come and join the excitement with Stampin' Up! Twice each year Stampin' Up! holds major events only for demonstrators. Picture this: 2000 excited crafters streaming into a huge convention center; music perfect for dancing greeting us and a huge main stage where new products and ideas will be presented over two fun-filled days. Exciting? You bet! But it gets even better. Now picture another hallway filled with displays from a brand new catalog that just happened to be waiting in a super cute tote bag that you got when you signed in at the registration desk. And inside that bag? Three brand new stamp sets that you will get to craft with during the event, and take home with you when the event is over. Loving it so far? Just wait. Now back to that main stage. Sitting in your seats watching an amazing presentation on how to use some of those products in that new catalog. And when the presentation is over, several demonstrators in that audience win those products from a prize patrol! And one of them is YOU! And if that isn't enough, several times during those two days, everyone in attendance wins even more products! Now if that hasn't got you excited I don't know what would. How about all the new friends you will meet from so many amazing places in the world? Sharing business tips and tricks with each other and swapping cards and other crafting projects? Whew. Exhausting but oh, so memorable! Now let's have a bit more fun here! I am registered for one of these super fun On Stage events. Do you know where it will be held? Check out my hints below and write your guess in the comments below! I have a better idea! Join my team and come along to these fun events with me! What an amazing time we will have. Learn more here!